Chennai is the cultural capital of South India and stands as main center for education, film industry, IT sector and trading sector. It also holds many historical buildings, beaches, cultural art centers and stands as one of the best tourist center in South India. City includes everything from shopping malls to best 5 star hotels in order to fulfill the needs of the tourists and guests. As there are many hotels in the city that provide accommodation to the guests and travelers, here are the list of best 10 star hotels in Chennai that offers luxurious features and facilities provides comfort and convenience. 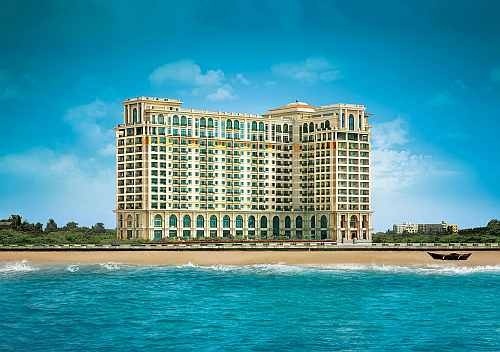 9.The Leela Palace: It offers luxurious accommodation to the travelers who visit Chennai and it is located near to the railway station. It provides fully furnished and spacious rooms under 5 categories like Deluxe rooms, premium rooms, executive rooms, Junior suites and luxury suites. Hotel include best facilities like business center, gym, spa, 2 meeting rooms, travel desk, swimming pool, 3 restaurants and a bar located at the hotel that brings charm and delight to the guests. Address: Adyar Seface,175 Sathya Dev Avenue Extension, MRC Nagar , Chennai-600028 , Tamil Nadu, India. 8.Taj Club House: It is one of the luxurious hotels that is well known for its magnificent homes of British luminaries and as original site of the renowned Madras club. It offers best rooms with stylish architecture under the categories like superior rooms, deluxe rooms, premium rooms and suits include Executive suite, deluxe suite and presidential suite. It provide best services like meeting rooms, banquet facilities, business facilities and many other recreational facilities that bring delight and comfort to the guests and travelers. 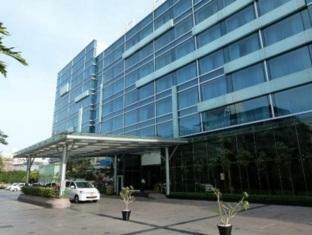 7.Trident Hotel: It is located near to the airport and business district. It offers 156 luxurious rooms and 11 suites that are surrounded by the tropical gardens under the categories like deluxe rooms, deluxe garden view rooms, trident club rooms, junior suites, executive suite and presidential suite. It also holds 2 restaurants named Samudra and Cinnamon that offer traditional to International cuisine and hotel also include Acrot Bar with extensive collection of spirits, wines and many more. Address: 1/24 G.S.T Road, Chennai -600 027, Tamil Nadu, India. 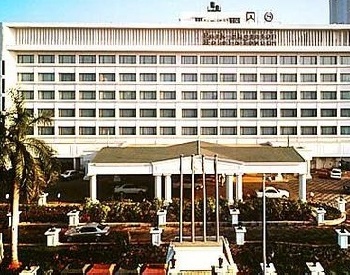 6.Sheraton Park Hotel & Towers: It is one of the luxurious hotels located near to the airport and business center. It offers 287 well appointed guest rooms and suites that include best features and facilities that suit the travelers as well as business people. It holds modern amenities and award winning restaurants that offer South Indian to Italian grilled recipes. 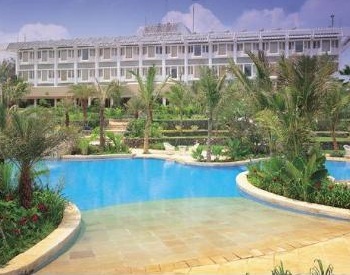 It offers outdoor pool and meeting halls with modern facilities. Address: TTK Rd Chennai, Tamil Nadu-600 018, India. 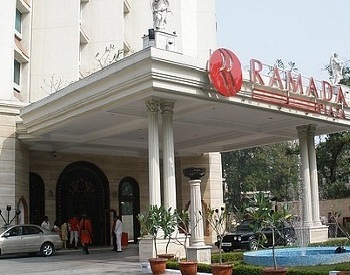 5.Ramada Hotel: It is one of the best hotels in Chennai city that offers 113 well furnished and spacious rooms. It offers best services and facilities along with business centers, meeting rooms and board rooms that are equipped with Video conferencing facility. It also hosts Upperdeck bar, Café shop and a multi cusine restaurant that serves Indian, Chinese and many more tasty continental dishes. It is one of the top rated hotels in the city with best amenities that add comfort to the guests. 4.The Raintree Hotel: It is one of the luxurious hotels located in St.Mary’s Road that is near to hub of business and manufacturing activity. It stands as a best place for the business and corporate travelers as it provide best facilities and services. It offers modern guest rooms and suites fully furnished with the modern amenities. It also features conference halls, swimming pool, gym along with restaurant and banquet facility. Address: 120, St. Mary’s Road, Alwarpet, Chennai-600 018, Tamil Nadu, India. 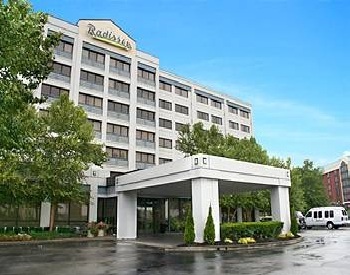 3.Radisson Hotel: It is one of the finest hotels with fully furnished rooms that offer comfortable atmosphere. 101 guest rooms along with elegantly designed suites are available under categories like 19 Business class rooms, 46 club rooms and 29 deluxe rooms. It also offers business facilities like express check-in, transportation through a luxury car between airport and the hotel and night time chocolate service. 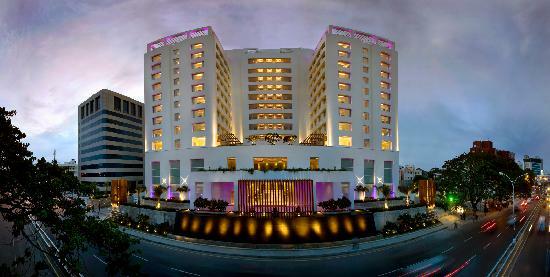 Address: Radisson Blu Hotel, GST road, St.Thomas Mount, Chennai-600 016, Tamil Nadu, India. 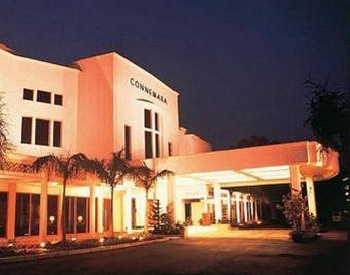 2.Vivanta by Taj-Connemara: It is one of the luxurious hotel offered by Taj group located 17 Km away from the domestic air port. It offers luxurious and more spacious rooms under different categories with modern comforts. It includes all features and facilities for entertainment, business as well as for tourists. It offers conference halls, swimming pools, restaurants, lawns and many more. Address: Binny Road, Chennai-600 002, Tamil Nadu, India. 1.Vivanta by Taj-Fisherman’s cove: It is one of the finest hotels in the city that offers luxurious features to the guests. It is located 40 km away from the airport and offers royal cottages that are decorated by the modern amenities. It offers business facilities, recreational facilities inside the hotel and stands as one of the best beach resorts with open gardens, swimming pool and many more.